Geometry is a maths subject that deals with shapes and their properties and spans many grades. Starting in kindergarten, students are introduced to 2D shapes. As they get older, students learn how to plot coordinates on a graph and work with 3D shapes and angles. Geometry can be a tough subject, but our resources will help your student become a master in no time! 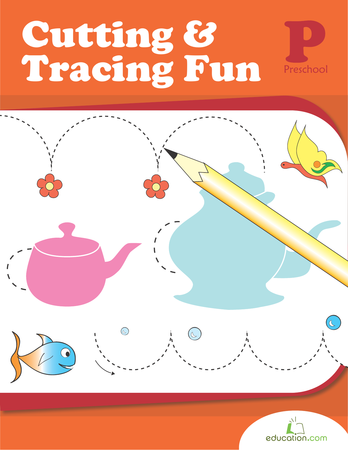 Want to help your preschooler get a head start in maths? 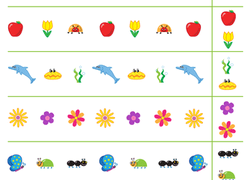 Teach her about identifying patterns with the help of this colorful worksheet. 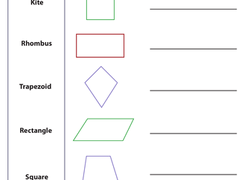 Help your third-grader learn to recognise quadrilaterals with this geometry worksheet. Kids build their shape knowledge by identifying congruent shapes. 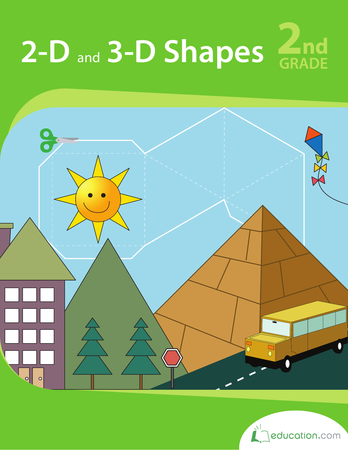 Use this resource to review 2-D shapes with your young mathematicians. 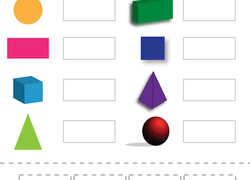 Students will identify the names, number of edges, and number of vertices of common shapes as they work to fill in the blanks of this 2-D shape chart. 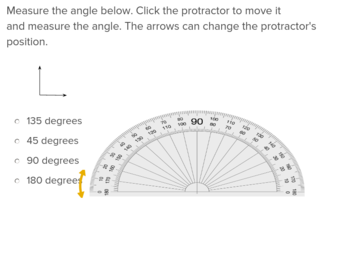 Teach students how to measure angles without the confusion of a protractor with this easy to use exercise. Students will find volume for rectangular prisms by applying the formulas V = l × w × h and V = b × h.
Transfer student’s understanding of calculating the volume of rectangular prisms to calculating the volume of irregular shapes. This bear is lost! 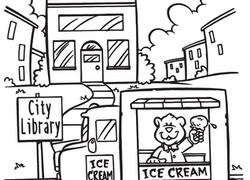 Tell your preschooler to help him get home by coloring in a trail of circles. 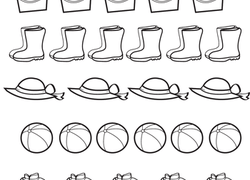 This fun exercise will help your child recognise circles. 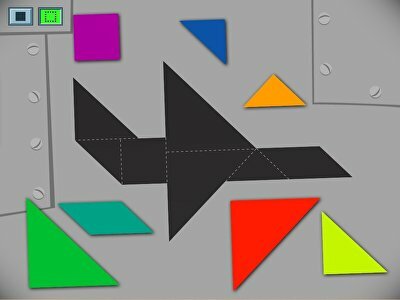 In this lesson, your students will use their auditory, visual, and kinetic skills to learn about angles. 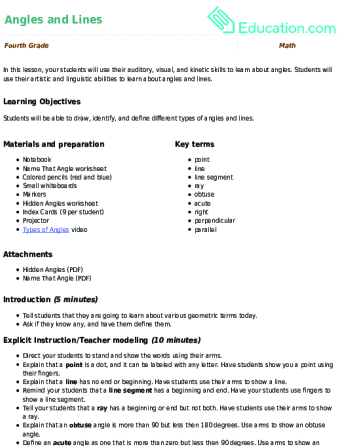 Students will use their artistic and linguistic abilities to learn about angles and lines. 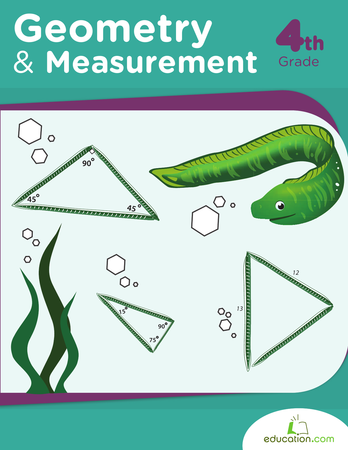 His worksheet gives kids practise in calculating volume, a basic skill for geometry and upper-level maths. Help your second grader grasp the concept of fractions by looking at shaded shapes and circling the fraction that matches. Geometry is everywhere! Lines, line segments, and points are all around. 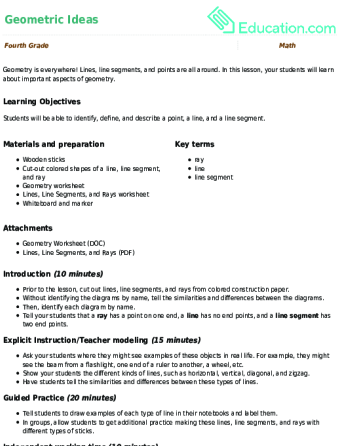 In this lesson, your students will learn about important aspects of geometry. Help your child practise his skills in geometry with this printable worksheet, which asks him to name the different shapes. Centimeter cubes have gone wild with these irregular shapes! Students will be challenged to calculate the volume of different shapes by counting the cubes. Navigate this map of Geo City! Put those graphing skills to the test by identifying and locating ordered pairs on this coordinate grid map. Build a solid geometry foundation with these hands-on shapes. Kids can practise identifying attributes of 2-D and 3-D shapes, then put their knowledge to the test by drawing and making 3-D shapes. Need to brush up on your geometry skills? Geometry deals with the discovery of patterns and calculation of areas, volumes, lengths, and angles. Read about some common concepts below, then move on to our geometry resources! Students are introduced to polygons as early as kindergarten. Polygons are defined as closed, flat (or two dimensional) shapes with at least three straight lines. To study some of these shapes in more depth, visit our resources on Triangles(3 sides), Quadrilaterals(4 sides), Pentagons(5 sides), and Hexagons(6 sides). Surface area: the total area of all surfaces, or the amount of area you would be able to paint over. 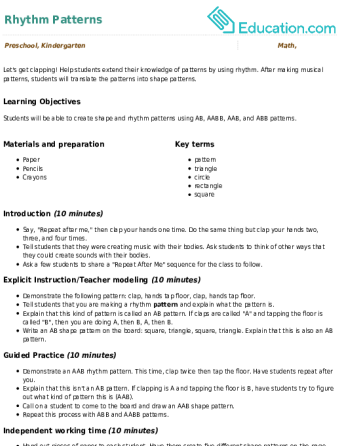 Volume: the amount of space inside the shape. For example, the amount of water it could hold. For more information on this subject, see our resources on Volume. Geometry covers many topics, and your child is sure to enjoy learning more about all of these maths topics as they go through our resources!